Beaver County Peace Links: Hands Off the DPRK, No More War! When the current Korean crisis emerged, I immediately contacted the wisest person I know on the subject. His name is Gene Matthews, and he spent decades in South Korea as a missionary who was active in the pro-democracy movement there. He's a contributor to a great new book called "More Than Witnesses: How a Small Group of Missionaries Aided Korea's Democratic Revolution." Here's what he has to say about the current standoff. "North Korea has always felt threatened by joint military exercises of the U.S. and South Korea, and has always protested against them," he says. "This time, North Korea stated that the exercises were taking place in North Korean territory and that if shots were fired during the exercise they would retaliate. Shots were fired (not at the North, it should be pointed out but out toward the ocean) and the North retaliated." What's saddest about this standoff, he says, is that it shows how far relations have slid in the last fifteen years. "Let's go back to 1994 when it was discovered that North Korea might be developing nuclear weapon capability. The right wing in America had a field day. Republicans in Congress began calling for massive bombing raids to wipe out the North Korean nuclear facilities. "Enter Jimmy Carter. Please check out Jimmy's article in the Washington Post . A strong case could be made for saying that Carter's visit to the north prevented war from breaking out. As a result of his visit The United States and North Korea finally began talking to each other and reached some remarkable agreements. The North agreed to destroy its small nuclear generator in return for enough oil supplied the United States and Japan to replace the generating capacity. Plans were even under way to open a U.S. Embassy in North Korea. I remember receiving a phone call from a friend in the U.S. Embassy in Seoul asking if I could recommend somebody sufficiently fluent in Korean to work in the Pyongyang Embassy as an interpreter. President Clinton even began to speak of a possible visit to the north. "The situation continued to improve dramatically with the inauguration of Kim Dae Jung as president of South Korea in 1998. He developed his famous "Sunshine" policy with the north. A brief, useful description of the Sunshine Policy can be found at fact-index.com ." George W. Bush destroyed all this progress, Matthews says. "Without being totally naive about the situation I cannot help but feel that North and South Korea could be thrashing out the final clauses of some kind of positive détente had George W. Bush not been appointed U.S. president by the Supreme Court. You will recall that shortly after his own inauguration Bush declared North Korea part of the Axis of Evil, the terrible triumvirate of nations including Iraq and Iran which Bush declared were intent on destroying out freedom. When Bush subsequently attacked Iraq for no reasons that made any sense, North Korea would have been foolish not to assume that they were also on the list of nations to be targeted. "In a later public statement Bush labeled North Korean President Kim Jong Il a "moral pigmy." Very few Americans can understand how insulting and devastating such talk is to a Korean leader. Americans tend to judge the rest of the world by their own cultural thought patterns. For a Korean leader to ignore such slurs would be a sign of grave weakness. I feel this goes a long way toward explaining some of the recent hostility displayed by the north. "Bush was not through, however. Kim Dae Jung in two short years had already begun implementation of his Sunshine Policy. In 2000 he had made a historical visit to North Korea where he was warmly received. He would later receive the Nobel Peace Prize for his efforts at bringing peace to the Korean peninsula. Following Bush's inauguration, Kim flew to Washington to try to persuade the new American president to continue support of his efforts to engage the north. Instead, Bush used the occasion to lecture Kim about how foolish he was to trust the north. Again, very few Americans realized how harmful this was. Here was the cocky, shallow thinking, fraternity boy lecturing an elderly man whose entire life had been dedicated to achieving democracy in his own land, who was carrying on delicate negotiations with one of the most unstable regimes in the world, fully cognizant of all the pitfalls inherent in such negotiations, willing to risk his entire political future in spite of those pitfalls. The scene defies description. "Kim returned to Korea realizing that not only could he not count on support from Bush but that he now had to expand political energy to overcome Bush's insulting behavior. Both Kim and his predecessor, Roh Moo-Hyun, moved ahead with the Sunshine Policy not only lacking support from Bush but now faced with Bush's seeming determination to counter any Korean policies developed under President Clinton. "When I last visited Korea in 2003 I was amazed to find a railroad connection already completed between north and south. A South Korean Industrial complex had been built in Kaesong where North Korean workers were producing goods for sale in South Korea. Family visits were common and South Korean tourists were making regular visits to the beautiful Diamond Mountains of North Korea." Things took a further turn for the worse with the election due to political changes in the South, Matthews says. "It all began to grind to a halt with the election of Lee Myung Bak as South Korean president in 2007. This highly successful business man and former mayor of Seoul saw himself as a pragmatic, no-nonsense leader who seemed determined to rule with a firm hand, almost reminiscent of the past military dictators. He too, flew off to Washington to sit at the feet of George Bush and came back singing Bush's praises. Almost overnight the progress made under the two previous presidents was wiped out. The railroads and highways were virtually closed down, tours and family visits ceased and production at the industrial complex in Kaesong declined dramatically. This was all combined with a vigorous renewal of the "defensive" exercises some of which were now taking place in the disputed boundary waters between North and South." Nor does Matthews spare President Obama. "One final ingredient for the stew pot is President Obama's abysmal approach to the Korean situation. Whereas in his campaign he promised to deal with situations like Korea through negotiation, as president he has almost wholeheartedly embraced Bush's policies and has pledged full support to South Korean president Lee Myung Bak's hard-line stance. Matthews has no illusions about North Korea, but he urges us to move beyond simplistic portrayals. "The point of this overly long backgrounder is not to paint North Korea as blameless. By almost any measure the North is a basket case. Its leadership is terribly paranoid, and its internal human rights record is abominable. But Americans seem unable to see beyond the hasty conclusions and Hollywood-type approach to any incident such as the shelling of the island and sinking of the ship. America good. South Korea good. North Korea bad. The end." It's just not that simple, he says. 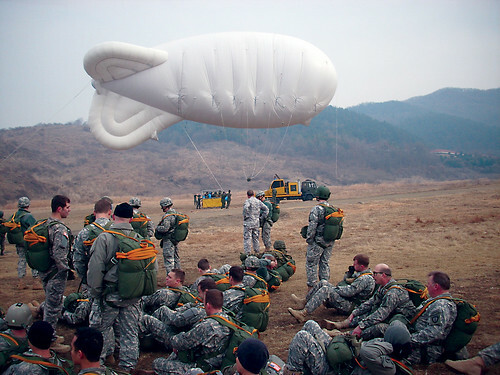 "American still has 28,000 troops stationed in South Korea 57 years after the cessation of hostilities. North Korea perceives their presence, rightly or wrongly, as a threat. This perception is only reinforced when American and South Korean forces carry out aggressive military exercises within gunshot of North Korea." Above all, says Matthews, we need to return to the path that was showing so much progress. "The ways of Jimmy Carter, Kim Tae Jun and No Moo Hyun were working. The current ways are not." Matthew Rothschild is the editor of The Progressive  magazine.